Your party has been described as a house of liars and covenant breakers, what is your take on this? It is like the kettle calling pot black, let me say quickly, who is more noted for lying is it PDP or APC. PDP is a lying party, it is a party of pathological liars. Let me cite example of what I’m saying, sometimes ago, Mr Fayose went to China, using our money, he pretended as if he was addressing people at an economic submit, whereas ýhe was just at a train station. That was terrible. At some point, he said President Buhari was brain dead, at a point Fayose denied ever taking loans, but the DMO office expose his cheap lies of about N60 billion that has been taken in the last three years. And in the payment of workers salaries, Fayose was always saying that he didn’t owe workers, until the workers themselves started talking. Fayose said he’s giving fly over bridge for N4.5 billion but today it is N14b, he said he awarded the contract at Oja Oba market to his cronies, they have a case in court now that is exposing them, that Fayose has an interest in the company that was awarded the Oja-Oba Market. APC is a party of democrats and I can tell you without any fear of contradiction that we have fulfilled reasonablyý the cardinal programmes as promised to Nigerians in the area of addressing corruption, the security and economy. We have done that reasonably well; we have taken Nigeria out of recession. Fayose and the PDP of course in Ekiti State should come out and tell us what his electoral promises to the people are. Is he even honest to the budgetary provision of the state? We are going to put a stop to all these wicked embezzlement of public funds being witnessed in Ekiti under Fayose. What is your take on the banning of Fayemi from holding public office within and outside the state for 10 years by Governor Ayo Fayose? I would just say simply that there is no place in the constitution of this country that empowers any legislative and executive arm of government to bar any citizens from holding public office. That decision can’t stand legal and constitutional scrutiny, either in content and intention. It is an arbitrary abrogation of power or authority to oneself; it shows that Fayose is not well lettered or tutored about the dictate of governance. It is six months to the governorship election in Ekiti state and one wonder how your party would wriggle out of the unwieldy number of aspirants jostling for the flag of APC without ruffling a feather? In a democracy, the best way to measure any popular political organisation is the numbers of the membership of such political parties and in the case of our preparation ýfor 2018 governorship election, I can assure you that our party is fully prepared and the number of aspirants jostling for the ticket of the party should not worry anybody and it is of course a healthy development that is showing that APC is the party to beat and side that it is democratic, you can not prevent anybody from pursuing a political interest or goal. To manage it, we have procedures, rules, guidelines and we must follow those guidelines strictly without any fear of favour. I can assure you it is not going to be a disadvantage to out party but rather, it is an advantage that would further enhance our strategy to send Fayose and his cohorts packing from Ekiti government house come July. There is this believe that Fayose has this political invincibility, that it would be difficult for any party to remove or defeat whoever he presents for election ý, what is your take on this? Everyone is entitled to his opinion, I want to believe such a grioup or class of people are exhibiting their ignorance of the political terrain of Ekiti, an empty barrel would make the loudest noise. In the case of of politics and as it affects in Ekiti, Fayose is no more a popular person in the state and let me say, even before the 2014 election, it is on record that the PDP muzzled everyone and institutions in the state to install Fayose as Governor. At the primary of the PDP, everybody was muzzled directly from Aso villa to ensure that Fayose emerged. All along I can tell you that with the disenchantment of the working force, the political interest in the PDP, the artisans and even the farmers are disenchanted and disillusioned with the performance of Fayose and if Fayose is seeking attention ýand being his stock in trade to want to deceive people and attract attention to himself, I can tell you that he’s sitting on a time bomb that would blast off politically. He’s not a popular person, if anybody has expressed strong opinion in support of Fayose, I think the person is day dreaming. People are saying the confidence ýyour party exude in recent times might be connected with a plot to unleash Federal might on the state during the forthcoming election, do you subscribe to this? It is on record that the President Buhari led administration has demonstrated to the whole world that he’s a democrat, a decrat in the real sense of the word, allowing rule of law to take its pride of place and the electoral body, INEC has been independent in terms of discharge of thier duty anmd we have seen under president Buhari, APC losing election to opposition party. ýInfact the most interesting one happen just last weekend, where about three different political parties won election in different places across the nation where we have by-election. 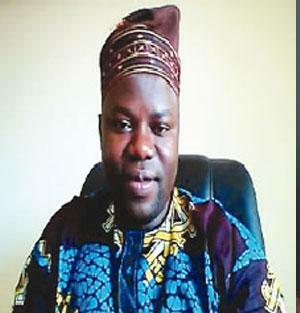 The post PDP, party of pathological liars — Olatunbosun appeared first on Vanguard News.